We all have heard the saying that says - "The Resources of the present are the debts for the future". Blockchain is the technology for the future and we wanted used it for providing the best solution to the problem. Our solution is essentially based on the conservation of waste water from industries and local municipal bodies. This is a blockchain and ML Implementation to solve the problem for water distress and recycle. 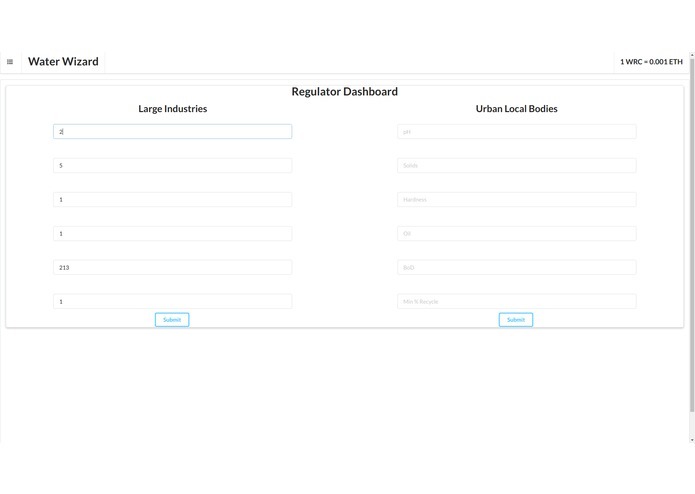 We have integrated a Interface that essentially enables a regulator to make transactions, change water cleanliness values and add a authenticated device to the blockchain. Since the app is a Distributed App we ensure that the data do not get tampered by a single authority but is available in a distributed ecosystem for viewing of all. 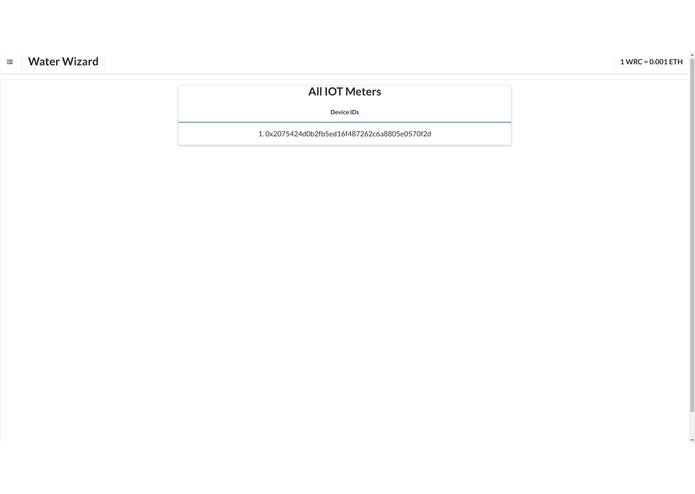 We are adding meter readings on the blockchain in a smart contract and also the record of all the IOT Devices. 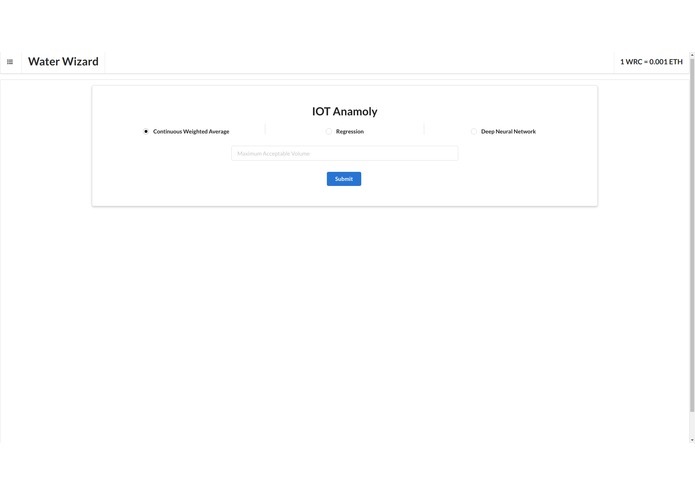 We have used Ethereum blockchain and integrated the Interface using truffle , web3js and react. The entire app is a DApp and contains implementations of the blockchain token transfer and device authentications. The framework for react is NextJs for making the app essentially a node app. 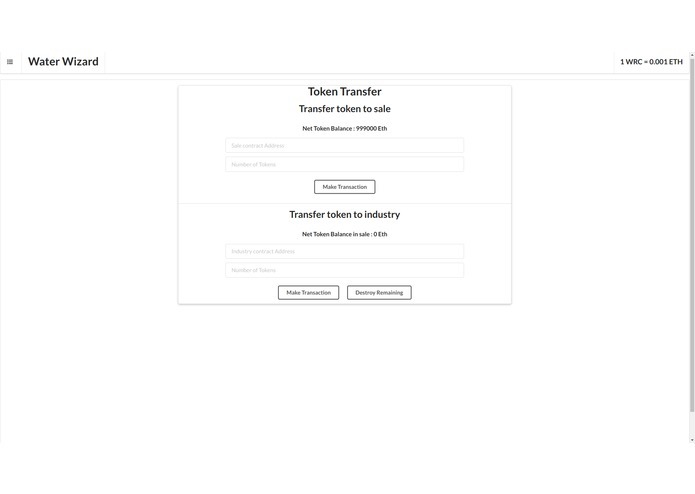 We used Web3js for interaction with the blockchain and invoking transaction. Metamask has been used as a browser extension for signing transaction. There were problems with keeping the structure for the project composed and minimal since the problem has multiple dimensions of solutions. The smart contracts are made highly flexible in terms of handling all the cases of the problem statement and that was the major challenge faced. Lastly the integration of react and web3 also popped some problems here and there but was nicely tackled. We got to work on the project as a team and could develop a project that solves such a big problem. We have made the app flexible in terms of blockchain implementations and therefore have covered all the use cases for the problem and kept places to add new ones in future. How to create solutions for solving some real world problems is something we thought of the most. We learned how to use web3js with react. We also learned much about solidity and truffle-suite. We can make contracts for every different industry and scaling in the direction is one of our major goal. A interface for the User as the current app has views only for the regulator. The models of the ML are presently kept as a dormant implementations and are not currently integrated with the interface. We can make those models more robust and beneficial for the app. I worked on building machine learning models that helped identify the anomalies present in the data and hence detect the fraud. I was essentially the Front end engineer for the project. I used react framework nextjs for the complete project. The UI is kept minimal to ensure maximum productivity. As always worked on the core blockchain part and the smart contracts, plus the presentation of the topic including building the solution.